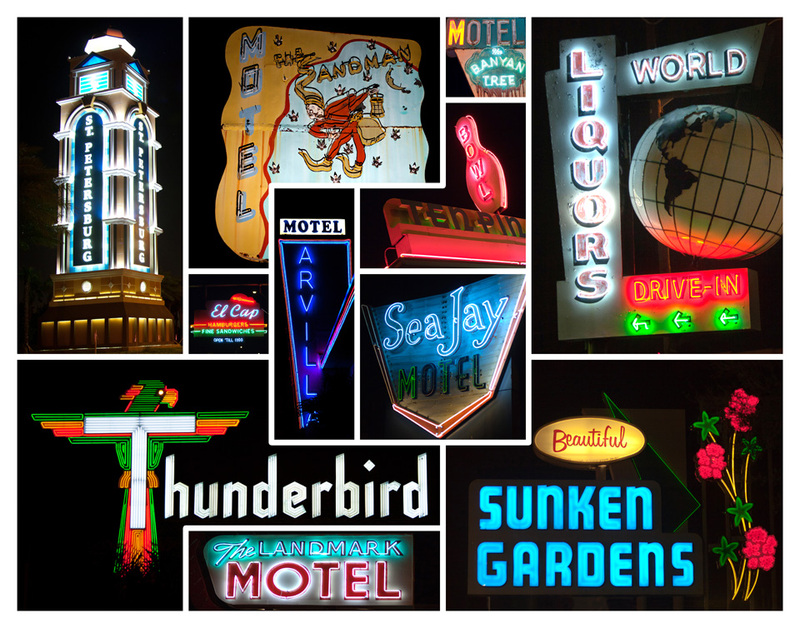 I decided to drive all around St. Petersburg for a couple of evenings and photographs the area’s remaining neon signs. A few of the signs are new, such as the main “Welcome to St Petersburg” sign on I-275 or the “Beautiful Sunken Gardens” sign (which was made to look like the previous historic sign it replaced). However, as far as I’m aware, the other neon signs are originals.